Combine vodka, lime juice and sorbet in shaker. Top with ice, shake and strain into a tall glass. 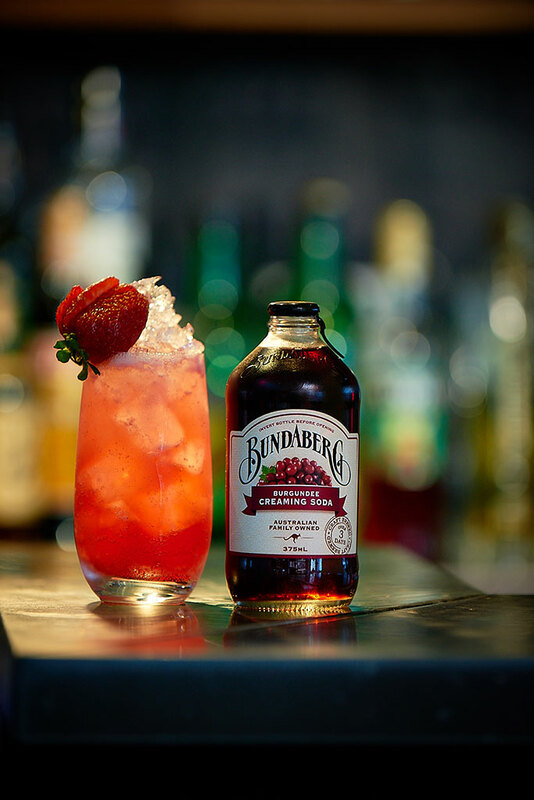 Top with Bundaberg Burgundee Creaming Soda. Garnish with a strawberry fan.